Sales of organic food increased 132% between 2002 and 2007, or 103% after inflation. This major growth supports the premise that organic foods are becoming more acceptable—and more in demand by consumers looking for foods they consider to be more healthful. But the slowing of the market in 2006-07 may suggest changing consumer attitudes towards organics. 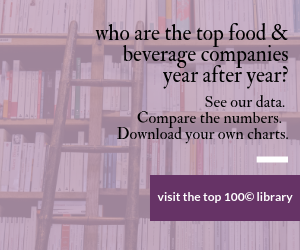 The steep drop-off in sales between 2006 and 2007 was caused in part by the rapid expansion of store brand organics, which has led to price competition in the market. But store brand sales are not the only reason for the decline, which may also be attributed to consumers’ growing ambivalence about organic products and their acceptance of natural products in lieu of organic ones. As more natural products become available, it is likely that consumers are not totally convinced that organic is the only answer: they may be satisfied by purchasing organics only in segments in which they feel it “makes a difference” (e.g. dairy or produce); they may also not feel that there is a significant value add to choosing organics over natural products. Sourcing organic ingredients has been an issue for the industry, as it can take a number of years for farmers and ranchers to convert conventional acreage. In some segments of the industry (e.g. meat), imports have helped bridge the supply-consumer gap, but prices have remained high. As more American resources can be converted to organic, the issue may be resolved. The following Figure shows new product launches of organic food between 2002 and 2007. The growing popularity of organic foods is evident by the growth of organics in 11 of the 14 categories. Especially notable is the way the concept of “organic” has transitioned from its image of “counter-cultural” to mainstream. When the organic movement started, the concept was built on a small scale, appealing to consumers who frequented “mom and pop” natural food stores (which were, in the early years, the only natural food stores) and organic offerings were most likely to be off-beat and unusual foods, often available only in limited quantities. In the current arena, on the other hand, organic foods are easy to find in many categories and instead of being unusual or strange, often mimic mainstream products. For example, General Mills launched organic versions of a number of popular cereals in 2006 and 2007, showing the “organic conversion” of mainstream products. At the same time, organic manufacturers have made their presence known both in natural supermarkets and in FDM channels, as witnessed by the visibility of Amy’s Kitchen organic prepared foods.